10.0 Megapixels for stunning prints as large as 16 x 20 inches. Sharp resolution captures the finest details, crops creatively and produces incredible enlargements. 4x Wide-Angle Zoom-NIKKOR Glass Lens has a versatile zoom range which gets you close to the action while still being able to capture expansive landscapes. NIKKOR optics provide exceptional pictures. NIKKOR lenses are built on a proud heritage of producing precision camera optics that delivers superb colour and razor-sharp results. New EXPEED image processing ensures high-quality pictures with stunning colour and sharpness. Nikon’s comprehensive digital imaging processing concept incorporates the know-how and technologies accumulated throughout our long history of photographic and digital imaging development. EXPEED is custom-tuned for COOLPIX. Applied optimized technologies render natural-looking pictures of incredible quality and quick response so you won’t miss that special moment. Optical VR Image Stabilization compensates for camera shake to prevent blur, producing clearer, sharper results in lower light or unsteady conditions. In addition, the benefits of Nikon’s VR system extend to faster framing on the monitor and smoother action when using the movie mode. Scene Auto Selector automatically recognizes the scene in your picture and adjusts camera setting. Just set the camera to the Scene Auto Selector and the camera changes the settings according to the scene you are taking a picture of, automatically! 16 Scene Modes for optimized shooting in various settings. Choose from: Food, Portrait, Landscape, Sports, Night Portrait, Party/Indoor, Beach/Snow, Sunset, Dusk/Dawn, Night Landscape, Close-up, Panorama Assist, Museum, Fireworks Show, Copy or Back Light modes. Match your current shooting situation with these Scene Modes and the camera will make the necessary adjustments giving you an incredible picture, automatically. 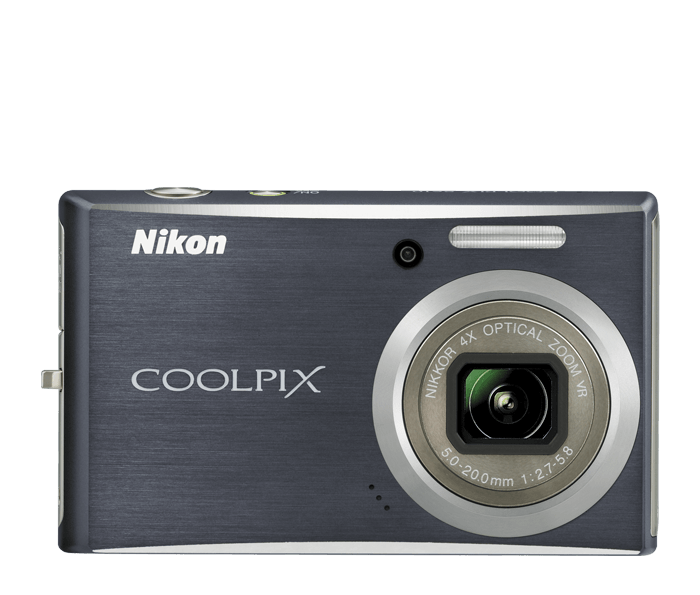 High Quality TV Movies with Sound is just a press of a button away with your COOLPIX. Record TV-quality movies with sound; duration is limited only by the available space on your SD/SDHC card. Connect your camera to your TV and you have instant home movies!